Fly your little helicopter in this action-packed multiplayer IO game and try to conquer as much territory as possible. Place markers on the map and fill areas to level up. Shoot at enemies and try not to get hit or crash into enemy territory, otherwise the game is over. Upgrade your aircraft and buildings and defeat everyone to win the game! 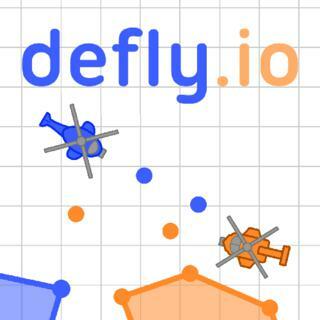 Defly.io - Find Defly.io in our vast HTML5 games catalogue. Only the best and newest HTML5 games for all audiences. Guaranteed success with Famobi.